This is going to be a huge event for a good cause and they want me to try and bring as many people down as I can. So if you have any interest in going post up here so I can get a head count. 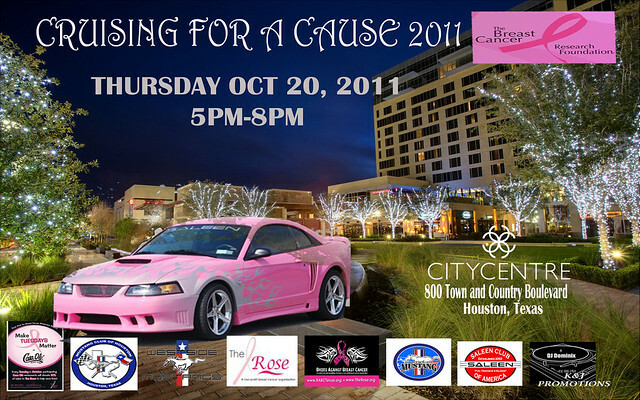 Re: Cruise For Breast Cancer - October 20th - TOMORROW!!! Do they cruise from 5-8 or do they meet at 5 and cruise sometime after? they're cruising to the location at 5. The lady in the pink mustang is the one cruising into houston from buffalo new york.